A positive end to a week that saw rates on the West Australia/China run slip below $6.00, as charterers faced a plentiful supply of tonnage. Rates below $6.00 prompted resistance, and after a clear out of tonnage, rates climbed back over $6.00 finishing the week in the upper $6.00s. Timecharter rates slipped under $10,000 daily for 180,000 tonners, but recovered ground, with a 2010 vessel fixing from CJK for an east Australia/India run at $12,000 with an option of China at $13,000. Brazil/China activity fluctuated, the pace quickened as the week closed, but rates were laydays cancelling (laycan) sensitive. There was talk of tonnage fixing, with a 12-13 February position on this run at $18.00. North Atlantic trading was largely focussed on tonnage willing to breach International Navigating Limits (INL) and owners saw premiums for trading from these areas. A voyage cargo fixed from Seven Islands to China at a rate allegedly equating to between $33,000 and $34,000. It was a difficult week for most owners, with rates under pressure everywhere. The North Atlantic suffered from a growing tonnage profile, with ballasters also competing for business. The index fell around $1,500 daily for transatlantic rounds, with a voyage from the US Gulf to Rotterdam stem fixed at $11.70 last week compared to a similar fixture the previous week at $12.75. The fronthaul index dropped by a similar margin, although on Tuesday, rates had appeared to improve from South America. Unfortunately, this proved to be a temporary blip, with rates jumping to $14,500 plus $450,000 ballast bonus, before returning to around $13,750 plus $375,000 ballast bonus almost overnight. North Pacific grains continued to be active, but the market slipped by around $1,000 daily. However, as per the previous week, minerals demand was disappointing and Indonesia saw several vessels fixed on an Arrival Pilot Station (APS) basis, with no ballast bonus. Period interest evaporated, with a heavy decline in Forward Freight Agreement (FFA) values. Since the last week, the Baltic Supramax Index (BSI) has lost over 10 percent in value, with all routes losing ground, especially in the Atlantic for prompt positions, where tonnage supply outweighed demand. There was limited discussion on period activity this week, but an Ultramax open Chittagong was rumoured to have fixed an Index-linked period. The Atlantic, particularly from the US Gulf, saw dramatic falls, with Supramaxes seeing around $10,000 for transatlantic runs. East Coast South America also suffered, with Ultramaxes, open Up River, fixing in the low $12,000s plus $200,000 ballast bonus for fronthauls. The Mediterranean also lacked impetus, as a 57,000 deadweight tonne (dwt) vessel went for a run from the East Mediterranean to West Africa in the mid $8,000s. 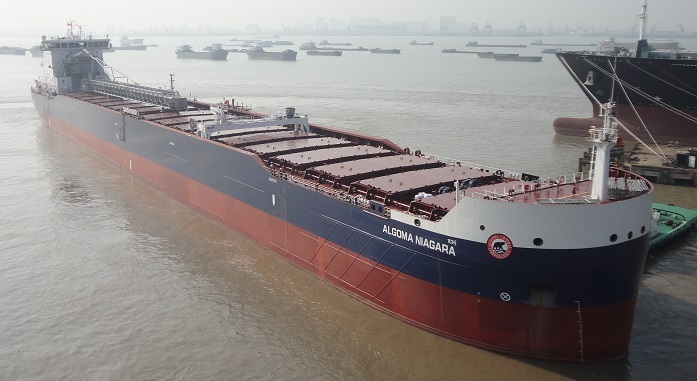 The Asian arena also struggled, but a 61,000 tonner open North China fixed for a trip via the North Pacific, redelivery Indonesia, at $10,500. For Indonesian coal runs, tonnage was giving APS deliveries and a 57,000dwt ship fixed at $7,000 for a trip to West Coast India. The Baltic Handysize Index (BHSI) continued to fall, with rates dropping in both basins. East Coast South America remained under pressure, with the HS3 route for 38,000 tonnes coming closer to the low recorded in early June 2018. Rates for the US Gulf also fell, as the HS4 route for 38,000 tonnes hit a new low since reporting started in March 2018. In the East, limited cargoes circulated last week for all sizes and routes. On the period front, a 37,000dwt vessel was booked from South Brazil for 12 to 14 months at $12,000, with redelivery in the Atlantic. The first leg later booked for Nueva Palmira to Kaliningrad in the mid $9,000s. Most of the information came from East Coast South America, with a 34,000 tonner fixing coastal business at $10,000. A trip to Amsterdam, Rotterdam and Antwerp (ARA)-Ghent range paid $7,300 from Santos on a 37,000dwt vessel. In the Pacific, a 32,000dwt vessel was booked passing Busan for a coal trip via the Commonwealth of Independent States (CIS) to Korea at $4,800. A 35,000 tonner was booked from Hong Kong for a trip to the Caribbean-North Coast South America, at $3,200 for the first 68 days and $9,500 thereafter.